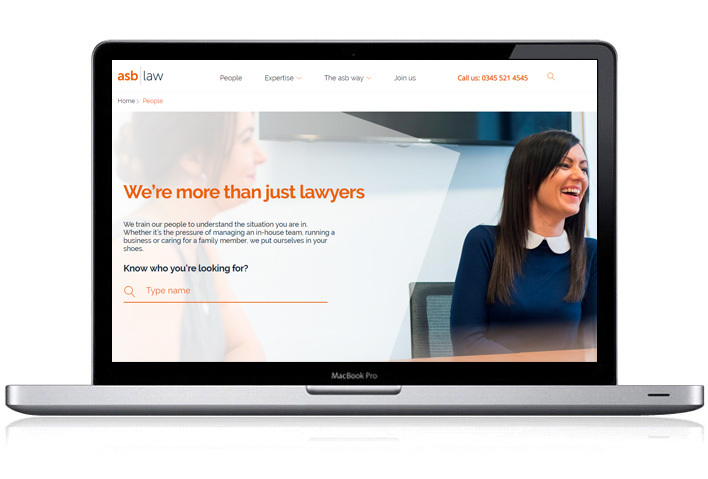 Why does your law firm need a website? That's a pretty big question. We normally work with our clients on some of the most fundamental and encompassing goals including attracting more clients, selling more services, and retaining existing clients. But one of the most exciting trends to have emerged over the past few years is increasing productivity, by merging the latest legal technology with self-service client website features. At the start of this page we mentioned some strong business goals that can be adopted during the development of a website, and by aligning ourselves to the goals selected by our clients we deliver fantastic sites that meet their needs and really work. A legal firm's website should be at the heart of their marketing strategy. Client attraction campaigns such as SEO, Adwords and content marketing all revolve around a high quality website. Visitors to your website, whether they are new prospects or existing clients, all present opportunities for more business. As they move through the site provide expert knowledge, use photos to put a face to the firm, link related services together and make sure contact forms send information directly to your CRM. Website features, such as social media integration, newsletters, blogs etc., will be part of an overall client retention strategy. The goal is to keep in contact, showcase your expertise and bring your brand front and centre. This is where it starts to get interesting. As more clients expect to be able to do more online, the best legal websites will start to offer self-service features. Being able to accept client payments, schedule appointments, and link directly to the practice management software all have the potential to save time and money. If you identify more with NewLaw than BigLaw, and can clearly see that the future for legal services is nothing like the past, then we may have something interesting for you. All legal firms we've talked to agree on one thing; other professional service sectors are way ahead in terms of adoption of technology, and law services have to catch up. Why? We'll it's not for the sake of innovation - it's because it is required by sophisticated clients. Boxharry have been consistently delivering innovation for over 16 years, and we feel the legal profession is more ready than ever to take advantage of our way of seeing the digital world. To find out how we can bring your firm to life online please drop us a line.